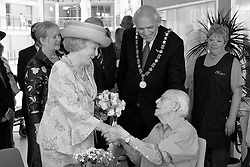 From my personal photo archives - After three decades, Queen Beatrix of the Netherlands announced her resignation on January 28, 2012. 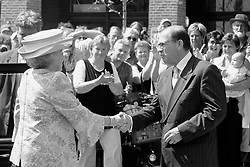 In 2006 I had an opportunity to photograph the Queen of the Netherlands 12 years ago. 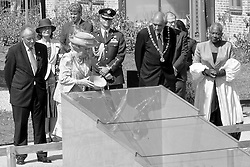 Reinaldahuis, Haarlem, NL - June 13, 2006; Queen Beatrix opens a senior housing complex in the Schalkwijk section of Haarlem. 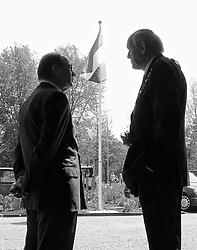 Photos in this collection are selected high-lights of a reportage that I made that day. 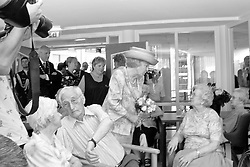 The photos were part of a reportage broadcasted on the info-channel of RTV Haarlem105 in June 2006.